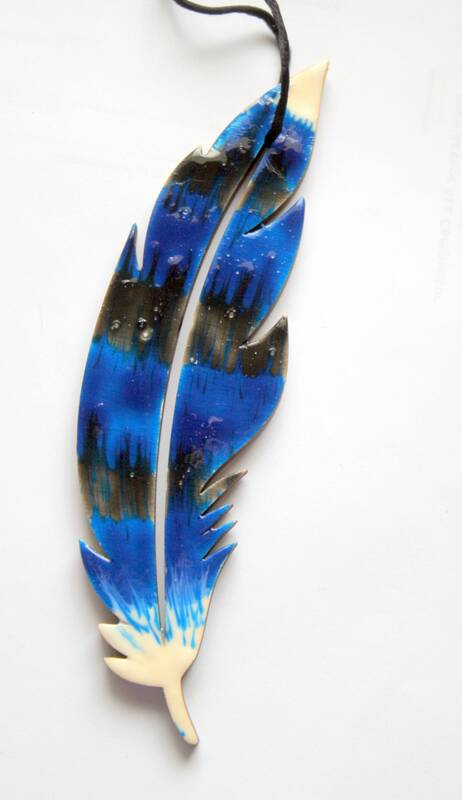 This are realistically hand painted with enamel feathers on a wood cutout. 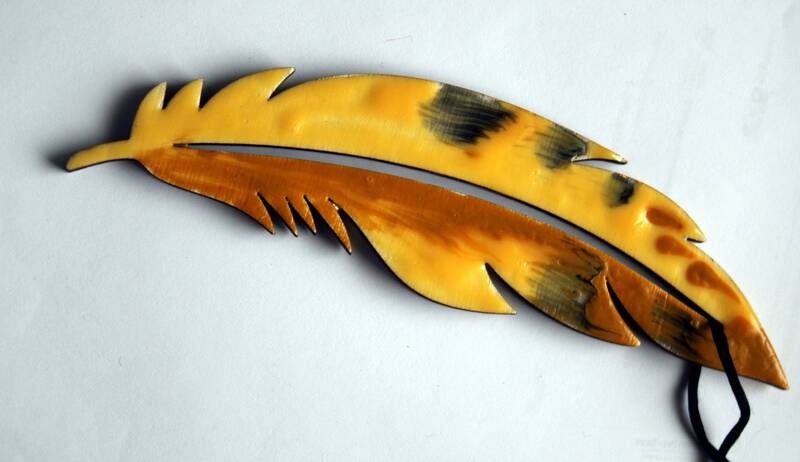 The longer shaped flight feathers measures 6 1/4" long by 1 3/4" wide. 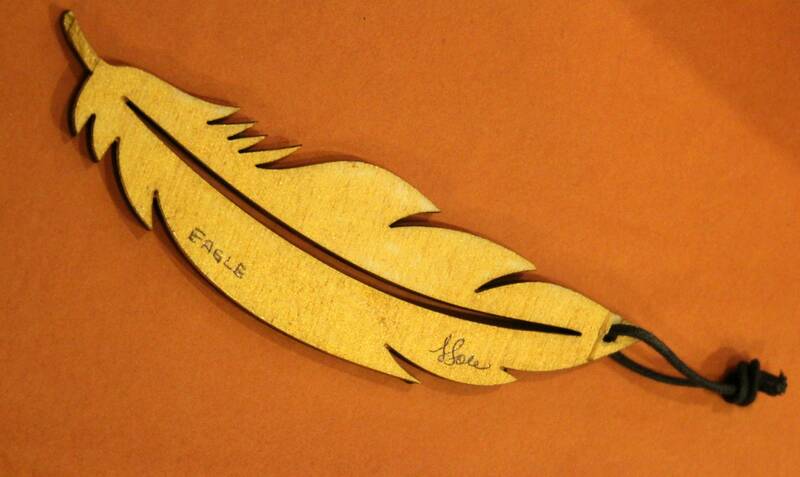 The shoulder wing and breast feathers measure 5 3/4 x 2 1/2 ". 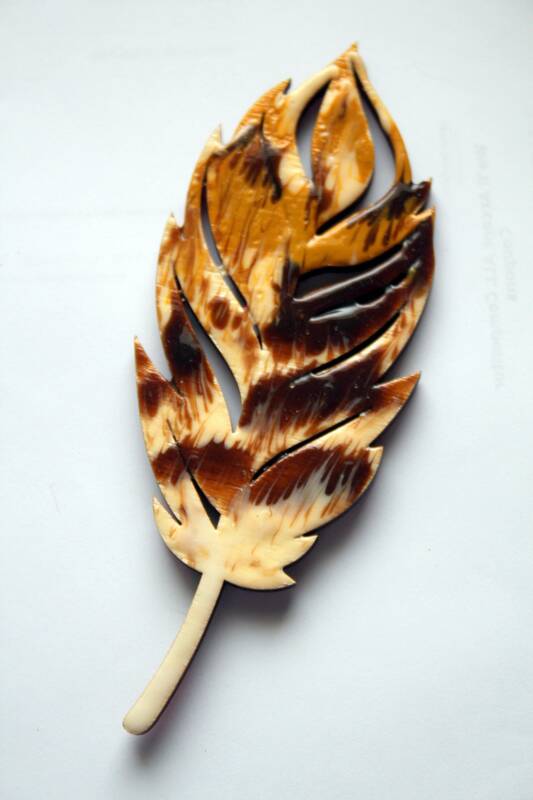 All of these can be used as ornaments or wall plaques. 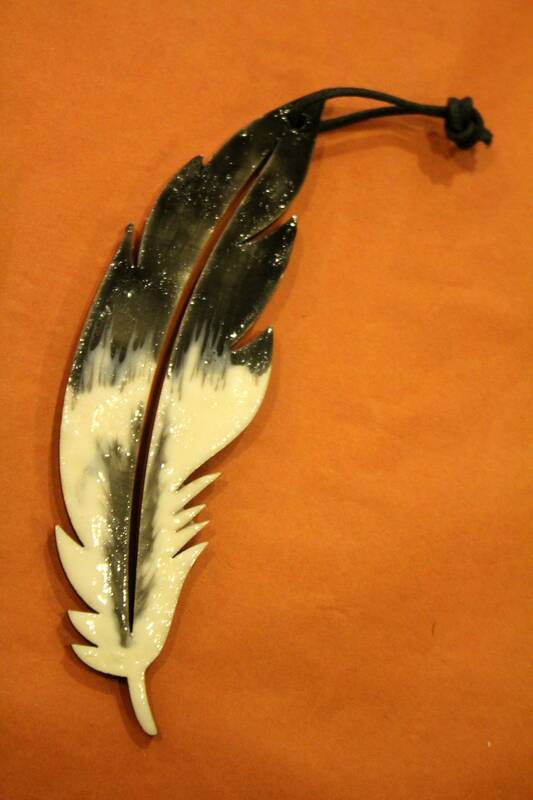 They have a leather-like black or tan cord hanger or black artificial silk cord and are very light weight. 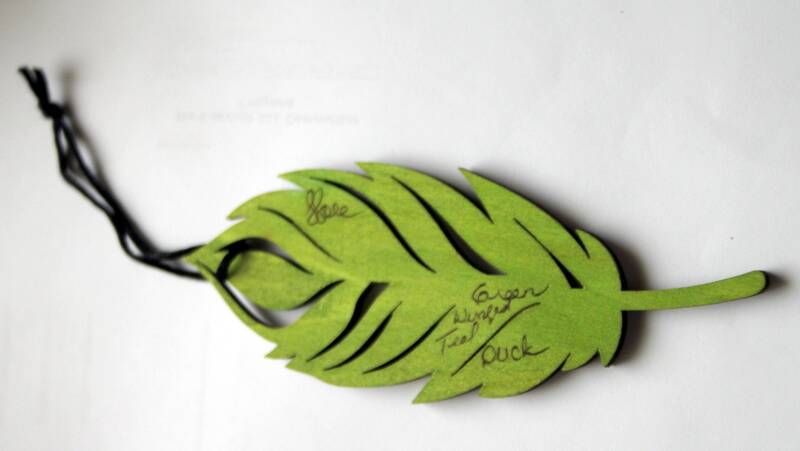 Also shown are owl, northern flicker (yellow shafted), blue jay, cardinal ruby throated hummingbird and two teal duck feathers varieties. I can do most any other bird species like hawks, ravens, songbirds and game species. 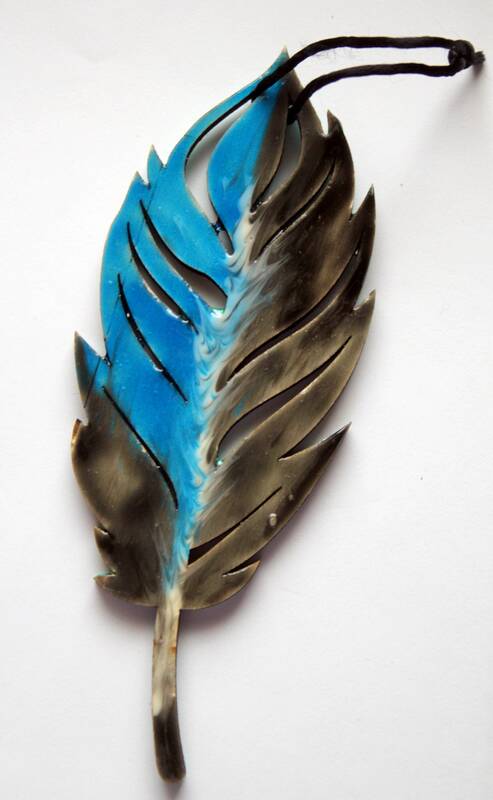 Please contact me if you wish to commission another type of feather other than shown here. 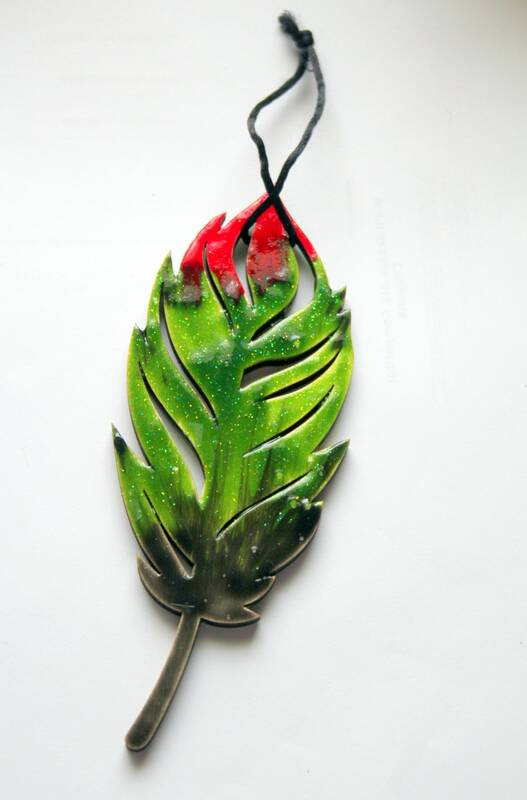 Since these are all individually hand painted, they may vary from one to another. 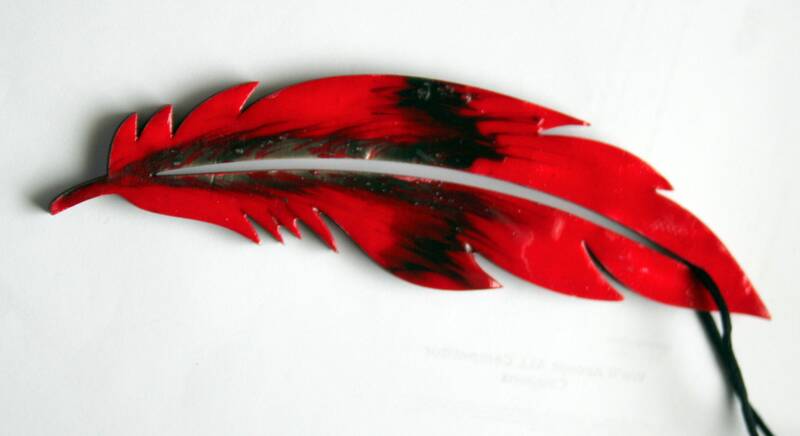 The feather will be shipped in a gift box with my card.